The National Weather Service has issued a heat advisory for San Diego County's inland valleys, effective Friday. High temperatures are expected to reach dangerous levels, from 98-102 degrees in places like Escondido and El Cajon. People are urged to limit their time outside, and reduce strenuous activities, she added. Stay hydrated and wear light, loose fitting clothing. Air conditioning is a must, and those without it are urged to seek a cool zone. 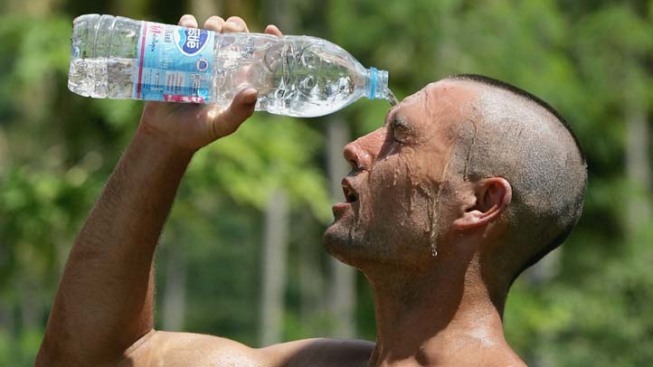 Children, elderly and pregnant women are most susceptible to heat related illnesses. Beach temperatures will be in the mid 80s through the weekend, while inland areas will remain in the mid 90s. Temperatures will begin a slow decrease on Sunday. There is a possibility of rain in the forecast for the middle part of next week.